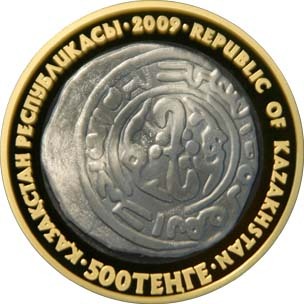 Date of issue: June 20, 2009. 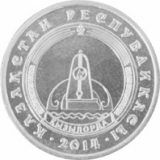 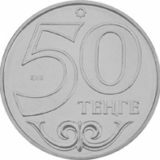 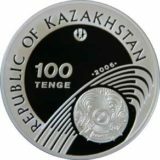 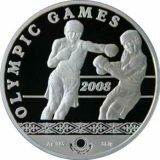 Averse: the image of ancient silver coin dirkhem which is dated back XIII c. was minted by local court of Almaty city; the face value of the coin “500 TENGE; “2009” means the year of coinage; two inscriptions “REPUBLIC OF KAZAKHSTAN” in Kazakh and English. 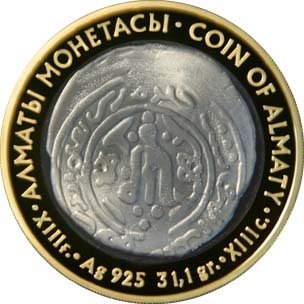 Reverse: the image of another side of the ancient numismatic rarity; “COIN OF ALMATY” the name of the coin; “Ag 925 31,1 gr.” means metal, standard of coinage and weight; the logo of the National Bank of Kazakhstan; the century of this coin usage “XIII ғ.” and “XIII с.”.